Hardman's Auto Sales is now a stocking dealer for Bintelli Scooters. As a member of the Bintelli family, we have access to multiple product lines of Scooters, Golf Carts, ATVs, and Go Karts. You may viewall of our available product lines at www.thebintellifamily.com. The oil and fuel in your vehicle give off vapors that are very harmful to the environment. Evaporative emissions control systems – EVAP for short – are mandated in all cars and trucks. The EVAP system is there to capture these vapors and direct them into the engine to be burned – kind of an on-board recycling program. The EVAP system is a complicated network of hoses, valves, filters and such. Issues with the EVAP system are in the top 5 reasons for a Check Engine light to be illuminated. Your friendly and knowledgeable Hardman's Auto Sales service advisor can pull the trouble codes and begin a diagnostic procedure to isolate the fault. With the proper equipment, your technician can test the valves in order to trace a blockage. A low pressure smoke test can be performed to find any leaks. The repairs are then made to get the EVAP system working again and to reset the Check Engine light. While EVAP problems don't generally lead to vehicle damage, the fact that they trigger the Check Engine light can mask other more problems for Whitefield residents if left unaddressed. After all, there are hundreds of conditions that can trigger a Check Engine light, but there is only one light. So if the light is on because of an EVAP issue you haven't fixed and another arises, you won't be alerted to the new condition because the light is already on. Of course, if you live in a jurisdiction in ME that requires emissions testing to register your vehicle, you won't pass the test until you make the repairs. An EVAP trouble code could be caused by something as simple as a loose or worn gas cap, a leak in a hose, problems with a purge valve or even a rusty fuel filler pipe. When your Check Engine light comes on, bring your vehicle into Hardman's Auto Sales in Whitefield and let us check it out. Your Hardman's Auto Sales service advisor will be able to diagnose the system and work out a plan to address any problems that are uncovered. There's peace of mind for Whitefield drivers that comes from knowing what is wrong and taking care of it. Today's Augusta car care article focuses on your suspension. Hardman's Auto Sales customers need to know that in addition to just wearing out, suspension components can be damaged in an accident or by a hard impact – like a pothole, hitting a curb or a rock in the road. Because the life span of shocks can vary so widely, your vehicle manufacturer and Hardman's Auto Sales recommend periodic inspections. During an inspection, your Augusta service technician will check for worn, broken or missing parts. 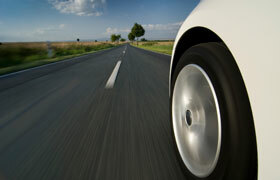 Signs that shocks or struts are wearing out: The tires may have a cupped wear pattern. This is from the shocks bouncing unevenly as you drive around Augusta. You may notice a floaty or drifting sensation when cornering. If the front of your vehicle dives excessively when stopping or rocks back and forth after you stopped, your shocks may be worn out. And if they are leaking fluid, it's definitely time to replace them. If you are experiencing any of these symptoms, come into Hardman's Auto Sales for a suspension inspection. Same if you've been in an accident that involved one of your wheels. Worn or broken shocks can cause premature wear or failure on other vehicle suspension parts such as ball joints and other steering components as well. If your suspension actually fails, it could lead to a serious accident, so let us take care of your suspension components at Hardman's Auto Sales. When you replace your shocks, it's usually a good idea to replace all four at the same time. That'll give you more even handling. Talk with your service advisor at Hardman's Auto Sales because you don't want a big difference between the performance of your shocks from wheel to wheel, and replacing all may be the safest bet. At Hardman's Auto Sales we install quality NAPA replacement parts. High ME gas prices have hit most of our budgets here in Whitefield. If increased fuel costs are consuming a bigger portion of your budget, you may be tempted to skimp in some other areas – like scheduled maintenance. According to ME news reports and industry studies, you're not alone. Nine out of ten personal vehicles on the road have at least one maintenance or repair item that hasn't been . Some of these items are serious safety concerns. Others are just more likely to affect the cost of operating your vehicle. In this area, we can take a lesson from professional vehicle owners in the Augusta area: fleet owners and operators like trucking companies and Whitefield delivery services. Because their livelihood depends on it, they have gotten scheduled maintenance down to a science. And the last thing they skimp on is regular maintenance. Fuel system cleaning, transmission service, differential service, wheel alignment, oil change, tune-up. Ring any bells? Is there at least one thing on the list that hasn't been done? Let's suppose you chose to spend $150 at Hardman's Auto Sales and get caught up on some of these services and that they combine to improve your fuel economy by 15 percent. What would that mean to your pocketbook? Well, the average personal vehicle in ME is driven about 12,000 miles a year. If you get 20 miles per gallon, over the course of one year you would pay for the $150 worth of service and save an additional $165 if gas is $3.50 in Whitefield. If gas is $4.50, you would save $255. And you'd rack up savings of $345 with gas at $5.50. From this you can see that the more fuel costs in Whitefield, the more it pays to take care of your vehicle. Some of us Whitefield drive trucks for work or recreation – or want a large SUV for family needs. A 15 percent improvement in fuel economy can generate huge savings – $660 a year if gas is $4.50 a gallon at your Whitefield gas station. So catch up on those services at Hardman's Auto Sales in Whitefield. Talk with your friendly and knowledgeable Hardman's Auto Sales about your vehicle's needs. Get a couple done now and a couple next time. Chances are you'll save a lot of on fuel this year – and a lot more on repairs in years to come. Most Whitefield people don't service their vehicle air conditioning until after it fails. Maintaining your air conditioning system means that you always have enough refrigerant to properly do the job. Small leaks in the air conditioning system allow the refrigerant to escape and the system can't cool the air as well. Along with the refrigerant, a special oil circulates in the system. The oil lubricates air conditioning components and keeps the seals resilient. Low refrigerant and lubricating oil means that the vehicle air conditioning parts will wear out prematurely, and all Whitefield know that Whitefield AC repair can be costly. Affordable air conditioning service at Hardman's Auto Sales in Whitefield starts with a thorough visual inspection of the components for signs of damage or leaks. The compressor is driven by a belt from the engine, most often the serpentine belt, so it's inspected for cracks or wear. The vehicle air conditioning compressor and other components are checked for proper operation. Then comes the leak test. If an air conditioning leak is detected, often in a hose or connection, it's repaired and the system is retested. Your friendly and knowledgeable Hardman's Auto Sales will also perform a temperature drop test. If needed, the old refrigerant is evacuated and the system is recharged with clean, fresh refrigerant. A final test insures that the vehicle air conditioner is working, and you're on your way. How often this should be done varies from vehicle to vehicle. Your owner's manual will have the manufacturer's recommendation and, of course, your Hardman's Auto Sales can tell you. It's typically every two years. It's easy for Whitefield drivers to take power steering for granted – you spin the steering wheel and your car turns. But behind the scenes your power steering is making it easy. The vast majority of vehicles on Augusta roads have hydraulic power steering systems, which means that pressurized fluid is used to help you do the work of steering. A pump pressurizes the power steering fluid to provide the boost you need. 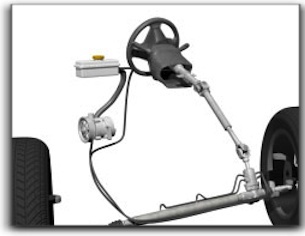 In some Whitefield vehicles the pump is driven by the serpentine belt, while in others there is an electric pump. The problem for Whitefield vehicles is that over time, the fluid becomes contaminated and can actually cause leaks in the hoses and connections. It gets harder to steer and could even cause total failure of the power steering system. Periodically, your friendly and knowledgeable Hardman's Auto Sales service advisor may recommend you change transmission fluid, which involves removing the old, dirty fluid and replacing with fresh fluid. This helps the power steering components last longer, maintains your vehicle's steering performance and keeps you safely on the road in Whitefield. Your Hardman's Auto Sales technician will also have your system checked for leaks and the belt inspected for other pending needs. Ask if it's time to perform a power steering service on your vehicle today. There are actually a lot of things Whitefield drivers can do – some of them are pretty easy. One of the first things is make sure their tires are properly inflated. On the inside of the driver's door or door jamb is a plate that indicates the correct tire pressure. Careful – there might be a different pressure for the front and rear tires. Check them at least once a month. Carrying extra weight in the vehicle hurts . Leave unnecessary stuff home. Do we even need to mention driving fast around Whitefield and jackrabbit starts? Gently accelerate and plan your stops so that you can ease into them a bit. This really makes a big difference. Now there are a number of maintenance items that improve fuel economy for Whitefield drivers. Lubricants should be replaced on schedule – dirty oil, transmission fluid and differential fluid cause more friction and drag which hurt . A big one is having a fuel system cleaning done if needed. A dirty fuel system can really reduce engine efficiency and increase fuel consumption. And if your Check Engine light is on, take your vehicle in to Hardman's Auto Sales in Whitefield for a diagnosis. Some conditions that trigger the light can really hurt your fuel economy. Getting the necessary work done to correct the fault will help your engine run better and may bump up your fuel economy. And watch out for miracle cures. There are a lot of products being sold in ME that claim to increase fuel economy. Check them out before you buy. 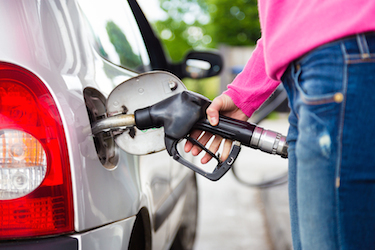 Ask your friendly and knowledgeable pros at Hardman's Auto Sales for ideas to improve your vehicle's fuel economy. Some new are now recommending much higher oil change intervals than they have in the past. As much as 5,000 to 10,000 miles, or 10,000 to 15,000 kilometers, or more. Following these recommendations is very important to avoid engine damage. When Whitefield drivers go too long between oil changes, oil starts to turn to sludge. This causes small oil passages to clog and engine parts to fail. What causes oil sludge? It's a factor of time and mileage. There are hot spots in every vehicle engine that cause oil burn off that leads to sludge. Also, water from normal condensation can build up in the oil. This water also creates sludge. Severe driving conditions in ME lead to more rapid sludge formation. Severe driving includes short trips around Whitefield or trips in freezing ME conditions. The engine just doesn't get warm enough for the water in the oil to evaporate. Severe conditions are at the heart of the problem. Stop and go driving, towing, dusty conditions, heavy loads, very hot or very cold Augusta temperatures, a car top carrier – these are all conditions that would suggest that the severe service schedule should be considered. The severe service schedule has much shorter oil change intervals. Whitefield drivers just need to honestly evaluate how they drive to determine if they should change their oil closer to the severe service schedule or to the standard schedule. Some vehicles give oil change reminders. But it's important to know how that reminder is determined. For some, the reminder simply comes when the standard mileage interval has rolled around. Others use a computer algorithm that takes into consideration the number of cold starts, trip length, engine temperature and so on. It's programmed to approximate where on the standard/severe service spectrum you fall. Some more expensive vehicles actually have sensors that test the cleanliness and effectiveness of the oil. For the rest of us Whitefield drivers, better safe than sorry should be the guiding principle. Talk with your friendly and knowledgeable Hardman's Auto Sales service advisor and work it out together. Find out what kind of oil the factory sends out in your vehicle. Sometimes it's a premium grade that costs more than standard oil – but it may be what's needed to meet a higher factory recommended interval. Timing belts are made of a very tough compound that can last for a long time. Timing chains are made of metal and last for a very long time as well. If your vehicle has a timing belt, your vehicle's owner's manual has a schedule for replacing the belt. If your vehicle has a timing chain, there may not be a specified schedule for replacing it, but that doesn't mean that the timing chain system is indestructible and never needs attention. For example, the chain runs on sprockets on the crankshaft and the camshafts. A broken tooth on a sprocket can cause the chain to slip a little. When timing is off a little your engine will not run as smoothly. When timing is off enough, your engine won't run at all and could even be severely damaged. There is also a tensioner that keeps appropriate pressure on the timing chain. This keeps the chain tight while allowing it to absorb pulsations from the engine. The tensioner can wear out. There are also guide rails that keep the chain on the proper path that can become worn. The bottom line is that at some time, one or more of the timing chain system components will become worn to the point that they are no longer performing within specifications. Your Hardman's Auto Sales service advisor can help you with recommendations for when timing chain components should be replaced on your vehicle and for signs of timing chain system wear. Since timing chains (and dozens of other parts) are lubricated by engine oil, smart Whitefield residents stay on top of regular oil changes to prolong their life. Always use a high quality oil filter and oil of the recommended type and grade. Let's talk about your suspension – you know, the system that connects your wheels to your vehicle, controls your handling and delivers a good ride as you cruise around Whitefield, ME. Your suspension is critical for proper steering, stopping and stability. Hey, it's a rough world out there in ME – every time you hit a pothole, a bump or an object in the road, your suspension system has to absorb the impact and maintain control. When a joint or other part is worn the suspension parts don't fit together as tightly as they should.Handling and steering has a loose feel and you may hear strange noises. Your tires will wear unevenly because they're bouncing down the Whitefield, ME, road a little off kilter. When your Whitefield, ME, service advisor at Hardman's Auto Sales inspects your vehicle, he'll look for signs of suspension problems: things like uneven tire wear, excessive play in suspension components and other visible damage. 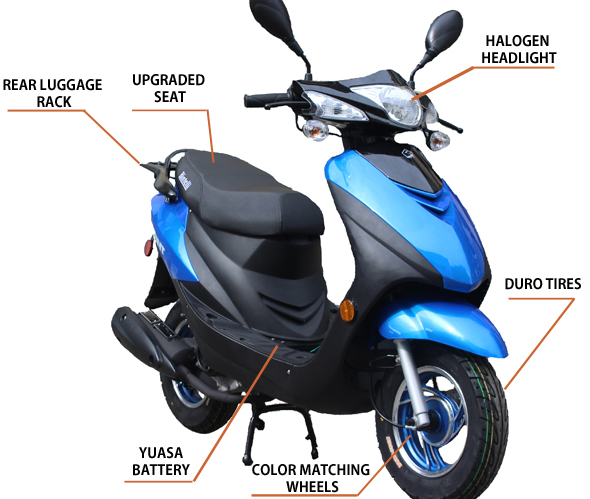 He can replace the worn or damaged parts and restore safe handling. It's a great idea to take care of these problems right away before they become more expensive to repair. And nobody in Whitefield likes to see a tire that should last for several years get worn out in a matter of months because of a bad suspension part. At Hardman's Auto Sales in Whitefield, ME, 04353, we install quality NAPA replacement parts. You can reach us locally at 207.549.7441. At Hardmans Auto Sales we are proud of the quality used cars we sell and our dedication to serve the needs of our customers. This is reflected in the amount of repeat business we receive. Whether this is your first purchase with us or one of many that you’ve had, you can count on our dedicated sales staff to make it the best buying experience possible.